Want to pay your EAP tuition? Do you know that you may be asked for giving biometrics with your visa/study permit application? Any advanced English student who wishes to improve their English. Students do not have to be conditionally accepted into a Dalhousie academic program to take Dalhousie’s EAP courses. Click here to find out about placement in the EAP Program. Click here to read more about the Academic Connections Program. The EAP courses consist of 30 hours a week of classroom instruction. The course program includes outings to lectures, museums and cultural events. The EAP Program levels are benchmarked to the Common European Framework of Reference (CEFR) for languages. Click below to read about each level, what you will study and what it means to be at each level. This is a pre-intermediate course at the A2 level that is an introduction to English for Academic Purposes (EAP). In this course students will develop their ability to understand and express themselves orally in formal and informal situations in the university context and understand short texts of a variety of styles and disciplines. Students will also expand their general and specialized vocabulary and write accurate sentences and paragraphs. 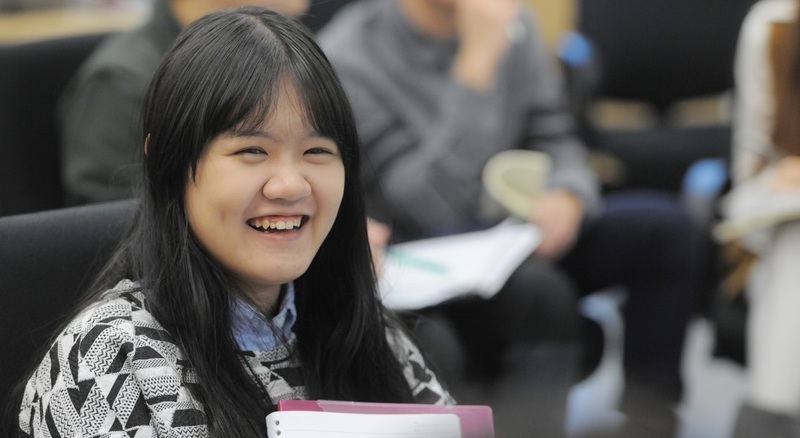 Students will develop these language skills and abilities while starting to explore the topics, practices and behaviours associated with academic success at university. This is an intermediate-level course at the B1 level with a focus on building a solid foundation in English for academic purposes. In this course students will learn to apply their English skills to academic tasks as they deepen their knowledge of English and develop their ability to use it in a university context. They will be introduced to the research process and learn to write well-structured, accurate essays and other texts. They will form strategies for reading and listening comprehension of short academic texts and lectures and improve their speaking abilities when discussing their area of study and other topics. Students will broaden their knowledge of the topics, practices and behaviours associated with academic success at university. This an upper-intermediate course at the B2 level in English for Academic Purposes (EAP), helping develop students’ listening, speaking, reading, writing, research and academic skills in preparation for study at university. The course is focused around key spoken and written academic genres to allow students to develop a range of listening skills and strategies, participate in various speaking situations in the academic context, develop academic reading skills, and improve writing ability over a range of academic genres. The course also includes instruction on research and library skills along with academic behaviour, such as time-management, study skills for effective independent learning and knowledge of academic integrity. This course is an advanced English for Academic Purposes (EAP) course at the C1 level which prepares students for undergraduate or graduate-level study in English. The course allows students to develop the ability to read effectively and comprehend high-level academic texts, acquire a rich academic vocabulary, and to apply listening and note-taking strategies to lectures on a variety of academic topics. Writing and research skills and honed as students produce texts in several important written academic genres and develop speaking ability for presentations, discussions and debates. Students will have the opportunity to delve into the vocabulary and genres associated with their disciplines of study. Academic integrity, along with other academic behaviours, such as time-management, autonomous learning and collaboration, are also taught and practiced. While a student is enrolled in EAP 2, they are permitted to enroll as a special student at Dalhousie University and take one undergraduate credit course at the same time. The credit course must take place outside of EAP 2 class hours. For more information or to enroll in the EAP 2 Bridging Program option, please send a message to esl@dal.ca and/or indicate this option when registering for EAP 2. Course texts are included in the fee. They include course books as well as supplementary texts, and materials, including authentic materials for listening and reading. Audio-visual and multimedia material, such as videos, audio recordings, and web-based content is also used.